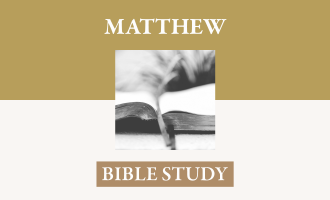 Lesson Focus: This lesson challenges you to believe and rest in God, who is sufficient in the midst of difficult circumstances. Honest Questions: Habakkuk 1:1-3, 13; 2:1. The oracle that Habakkuk the prophet saw. O LORD, how long shall I cry for help, and you will not hear? Or cry to you "Violence!" and you will not save? Why do you make me see iniquity, and why do you idly look at wrong? Destruction and violence are before me; strife and contention arise. You who are of purer eyes than to see evil and cannot look at wrong, why do you idly look at traitors and remain silent when the wicked swallows up the man more righteous than he? [2:1] I will take my stand at my watchpost and station myself on the tower, and look out to see what he will say to me, and what I will answer concerning my complaint. [1-3] An oracle is a divinely given message. Habakkuk’s message concerns the future of the covenant people of Judah. It is particularly the predicted time of oppression and hardship that is going to come on the people of Judah [1:6] that is the focus of Habakkuk’s oracle. Habakkuk was not the first to ask how long shall I cry for help, nor will he be the last. It is part of the sin-warped condition of fallen humanity that time and again situations arise which seem to demand immediate divine intervention to rectify them. 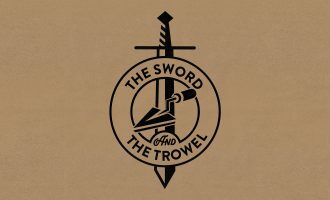 Society plunges ever further away from the standards of God’s word, and the witness of the church is ineffective to halt it. And God does not intervene. He does not answer the prayers of His people for revival. He does not punish wrong-doers nor deliver their victims. In such circumstances faith is acutely aware of the tension that exists between confessing that God is just and powerful, and witnessing the apparent triumph of wrong and cruelty. From this perplexity arises the cry of faith, O Lord, how long shall I cry for help, and you will not hear? Why does God not respond to such entreaties for what is self-evidently in accordance with His will? Surely it is right to ask that the progress of evil be halted and the wicked called to account? Now we must be careful not to understand these words as censuring God. In modern western society it is commonplace to demand that God, if He exists, justify His ways to man. The standard of judgment is human reason, and it is God who is required to vindicate His actions so that we may judge His conduct to be reasonable. But Habakkuk does not come as one who wants to reach a verdict on God’s course of action. Rather he acknowledges the sovereignty of the Lord and the justice of what He does [1:13]. Because he is sure of this, he is bewildered that he cannot work out what is happening, and why. This is faith seeking understanding, because faith is not a blind commitment. It trusts God whose ways are not arbitrary. They can be understood. God calls for an intelligent commitment to Him, and that causes us problems when situations arise which we are unable to comprehend. How long emphasizes that this is not a situation that has recently arisen, but is of longstanding. It is not the detached inquiry of the philosopher, but the repeated and perplexed question of one who knows the anguish and suffering caused by the injustice he sees all around him. Why had the Lord not responded to the pleas for assistance from those who were suffering? Why had He not intervened and made clear His justice and power so that the prophet and the loyal remnant within the community who shared his commitment would be able to answer those who doubted? The emphasis in verse 3 is not so much on the pain that the prophet felt at having to witness flagrant wrong-doing, as on the fact that it seemed irreconcilable with the character of God that He should let it continue. Habakkuk uses six words in three pairs to describe the situation. The first pair is iniquity … wrong. Iniquity translates a word that denotes an action intended to hurt others. It has overtones of deception and lying, but it particularly focuses on the way in which those with power and influence abuse their positions. Why do you idly look at wrong describes the real problem for the prophet: that God is aware of the wrong but is doing nothing about it. Wrong is used to refer not only to the trouble and distress experienced by the one who toils, but also to trouble and vexation caused by others. It is the misery and grievousness of the wrongs being perpetrated by the powerful that Habakkuk reflects on here. In the following words the prophet describes the situation as he sees it around him. Destruction and violence are before me. These two terms are often found together; destruction emphasizing the physical havoc that results from a ferocious assault, while violence focuses on the action itself. Strife denotes disputes between neighbors, such as would result in complaints being lodged before the courts. Contention too is a word that has legal associations, but both words are probably being used in a wider sense. It seems that some time passed before Habakkuk came to the Lord with his second complaint in 1:12-17. The Babylonians are no longer some distant power whose sudden arrival on the world stage is predicted as going to cause tremendous surprise. They have now arrived, and Judah is experiencing their aggression. Habakkuk is at a loss to know how this can be furthering God’s purposes; that His people should be subjected to the tyranny of such an unscrupulous nation. Indeed, his problem goes deeper than that. How can God who is holy and righteous use such people as the Babylonians to punish His own people? The prophet’s approach to wrestling with problems of God’s providence gives us an example of what we also ought to do. He does not let the problem undermine his faith in God. Rather than doubting God’s existence, he begins by reiterating what he is sure about concerning God [12,13a]. With that as his foundation he then proceeds to set out his problem [13b-17], so that what he is certain about may shed light on what he cannot comprehend, rather than difficulties being allowed to obscure and unsettle what is definitely true. 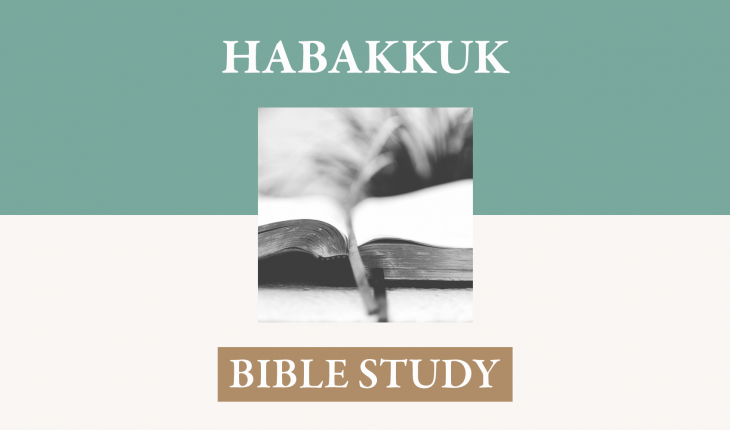 Habakkuk approaches God as the Lord, the covenant king of His people, the one whose very name is a reminder of His active involvement with His people’s situation. The Babylonian invaders are the Lord’s appointed means of chastising His people. In the uncertainty which the prophet is experiencing, he clings to what he is sure about concerning God. It is the Lord who is in control. The Babylonians were the Lord’s means of bringing the discipline of the covenant on His erring people. But surely the Lord has to be consistent. If He is punishing His people for their wrong-doing, how can He carry His purposes out by using a people who commit even greater wrongs? Again Habakkuk argues from what he is sure of. You who are of purer eyes than to see evil and cannot look at wrong. The purity of God was a lesson that was continually taught in Israel. But that is precisely what gives rise to Habakkuk’s problem. Why do you idly look at traitors and remain silent when the wicked swallows up the man more righteous than he? How is it that the holy God can seem to condone the behavior of the wicked, looking at it and not responding with immediate anger? Yet God was silent while Judah was being swallowed up – a picture of the people being unable to resist as they are completely destroyed by their enemies. But would not the Lord swallow up His enemies and the enemies of His people? Had this not happened to the Egyptians when they pursued Israel and were swallowed up in the Red Sea? Why was it not happening again? [2:1] One of the hardest lessons that faith has to learn is that waiting on the Lord is an intense and ever-present discipline that characterizes all of life, particularly at times of tension and perplexity. In this section of his prophecy Habakkuk first recognizes the need to wait for a reply to his question [2:1]. But the response that comes from the Lord points to still further waiting as the way to find the resolution of the fundamental problem the prophet and his generation were grappling with [2:2-5]. After Habakkuk set out his second perplexed complaint before the Lord, he realized that a reply might not be immediately forthcoming. So the prophet resolved upon the following course of action: I will take my stand at my watchpost. The picture is that of a soldier on sentry duty, stationed at his watch or post. The ramparts were situated on the top of the city walls as part of the defense precautions for a siege, and so also provided an ideal lookout point. The metaphor of the sentry or watchman was frequently used of the prophets carrying out their duties. Here it denotes the unremitting and undistracted way in which Habakkuk was determined to wait for the Lord’s response, just as a watchman had to be fully alert at all times. Habakkuk’s attitude was that of confidence. He has no doubt but that God will answer. Habakkuk was determined to understand the Lord’s way of working, and so he took measures to avoid that error. I will look out to see what he will say to me. Look continues the metaphor of the watchman. It involves the diligent on-going monitoring of a situation so as not to be taken unawares by any development – just what was expected of a sentry. Here Habakkuk is considering how he will fulfill his function of being a prophetic intermediary and what answer he will relay to the people, particularly those who, like himself, were pondering God’s ways of dealing with them. As he waits to receive the Lord’s answer, he anticipates that it will be difficult to grasp and wonders how he will be able to present it to his contemporaries. Divine Responses: Habakkuk 1:5-6; 2:4-6. "Look among the nations, and see; wonder and be astounded. For I am doing a work in your days that you would not believe if told. For behold, I am raising up the Chaldeans, that bitter and hasty nation, who march through the breadth of the earth, to seize dwellings not their own. [1:5-6] Habakkuk had complained that the Lord had not responded to him [1:2], but now that he receives a reply it is not what he had expected – or wanted – to hear. The Lord does not explain to him why he had not previously intervened in the turmoil and corruption that existed in Judah. God accepts the prophet’s analysis of the situation, and asserts that as the one in sovereign control of affairs on earth He is going to intervene in the immediate future [5-6a]. However, these same verses show that the Lord’s intervention is going to occur in such a way as to cause consternation to Habakkuk and those associated with him. The Lord is going to work through the agency of the ruthless and dreaded Babylonians, whose character and conduct are chillingly described [6b-11]. God directs him to look not within the borders of Judah but to the nations. Be astounded shows that the answer given to Habakkuk’s prayer is so far from being predictable as to cause utter astonishment. When the Lord acts, He marks what He does as His by not conforming to human expectations of what should happen next. Verse 6 is introduced by another for paralleling the one in the middle of verse 5. It gives greater detail regarding the events that would lead to the astonished reaction. I am raising up the Chaldeans does not refer to their coming into existence, but rather their coming as enemies of the chosen people. 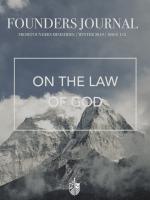 This shows that the Lord’s rule extends beyond the boundaries of Judah and determines the outcome of all events on earth. He who raised up individual judges and kings as deliverers of His people also raises up nations to chastise His people when they fail to live up to their covenant obligations. [2:4-6] Verses 4 and 5 contrast two attitudes towards God and His word. The one is that of the righteous, introduced almost parenthetically in verse 4b. The other is displayed by the arrogant oppressor. He is not directly identified, but the character traits described are evidently those of the Babylonians: his soul is puffed up. Whoever falls within this description comes under the impending judgment of God. This cancerous swelling of pride and self-importance is the root of mankind’s defiant rebellion against God. Uprightness characterizes conduct that is in accord with the requirements of God. But it is not mere outward conformity to God’s requirements that meets the criterion of uprightness. The inner motivation must be right also. But the righteous shall live by faith  stands as a contrasting and corrective thought to the attitude of the arrogant. The righteous are those who in heart and conduct are in true covenant relationship with God and what He requires. There is no thought that this has come about by any intrinsic merit or achievement of theirs. It is the result of divine intervention and renewal. The word translated faith comes from a root denoting firmness and durability. As an attribute of God it designates Him as the one whose word is utterly trustworthy and whose promises can be relied on. It is also applied to man and his reliability, steadfastness or faithfulness. As regards an individual’s attitude towards the word and commitment of God, it indicates an attitude of total trust in them. Moreover, wine is a traitor . Moreover is used to add another significant fact about the arrogant. They think themselves impervious to what threatens and upsets lesser mortals. But wine is treacherous. Those who indulge in wine think they are doing themselves good, but it leads not to strength and victory, but to defeat and death [Prov. 23:31-32]. The arrogant person can never be satisfied with what he has got, and is always on the lookout for opportunities to get more. He cannot be content to remain within his allotted territory, but is always sizing up what he can grasp from others. His appetite knows no bounds, and his mouth gapes open to consume more. The negative rhetorical question in verse 6 constitutes an emphatic prediction. All these points back to the peoples who have been conquered [2:5]. A time is coming when they will join together in mockery of their conqueror, that is Babylon. The nations will not just deride Babylon, they will do so by specifically using Babylon as an example to which they can point others for instruction in what happens to those who have no respect for God or for their fellows. Renewed Faith: Habakkuk 3:2, 17-19. [3:2] Habakkuk’s faith is no longer perplexed by looking at problems from below – from the standpoint of human understanding. The triumph of faith is to look at difficulties from above, from the perspective of heaven. Confident of the Lord’s saving intervention, Habakkuk engages in worship and prays for the realization of God’s promises [3:2]. Habakkuk here expresses the response that is appropriate for all those who wait on God through times of darkness and confusion. In his prayer, Habakkuk looks back to the way in which the Lord had in the past intervened powerfully on behalf of His people. Then, on that basis, he prays that the Lord intervene again on behalf of His people. Habakkuk is not basing his prayer on something that was a private experience of his, or had been specially revealed to him as a prophet. Rather he is talking about the common heritage of Israel: I have heard the report of you. Your work, O Lord refers to what the covenant God has done in relation to His people in the past. When he calls to mind the whole sweep of what the Lord has done in the past, the prophet can only say, O Lord, do I fear. Habakkuk stands in awe of this covenant God. This was no momentary and passing attitude on the part of Habakkuk, but is the affirmation of a faith that focuses on the all-knowing and all-powerful God of the whole earth, whose abhorrence of sin is total, but who repeatedly and wonderfully displays His grace to sinners. As he recalls the mercy God has shown to His people in the past, Habakkuk no longer questions that the Lord will work. He has no doubts about the wisdom of what the Lord will do. The prophet simply prays that it be not delayed. In wrath remember mercy is the essence of the prophet’s plea. It does not focus on any merit of his own or of the people. The reference to wrath can only be to that which the Lord is exhibiting towards His people. The prophet implicitly acknowledges that this wrath is justified, but that does not stop him from presenting along with it the Lord’s known attribute of mercy as the basis of his plea for assistance. Asking for mercy is an admission of guilt. Mercy refers to deeply felt love and compassion. It is a sovereign attribute of God [Ex. 33:19]. When the prophet asked that the Lord remember mercy, he was seeking that it be exercised. The present era is still one in which God chastens and purifies His own by judgment. The church continues to experience times of spiritual coldness rather than vitality. Habakkuk’s prayer provides an appropriate model for approaching God, confessing our sin and pleading for His mercy. In our weakness and helplessness we know our need for immediate help both to sustain us through times of difficulty and to restore the church to what it ought to be – alive and ever striving to establish Gods’ kingdom on earth as it waits for the return of its king. [17-19] In the final section of his psalm of prayer, Habakkuk again expresses his own thoughts and feelings as he had done at the start [3:2]. In describing the events of the past, he had often used archaic language, perhaps drawing on ancient sources, but now in the language of his own time he sets out how he reacted to what was happening around him. He does not try to summon up from within himself the moral or psychological resources needed to cope with the situation. Rather Habakkuk displays a faith that is focused on the Lord, on what He has already done, and on what He has committed Himself yet to do. Habakkuk describes the disasters that had already struck the nation because of the inroads of the Babylonians . These were all key elements in the rural, agricultural economy of Palestine. Fig trees and vines are frequently mentioned as most important crops in the land. Increase in the produce of the land and in the offspring of their livestock were blessings the Lord bestowed on them for covenant obedience. But disobedience was rewarded by a loss of such blessing. When an invasion took place the land was ravaged and cattle driven away. This is a picture of economic and social devastation. 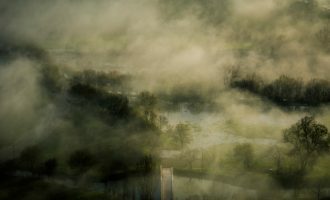 Though the prophet is well aware of the difficulties that the land has been plunged into, he recognizes another, more significant perspective on the matter. Yet I will rejoice in the Lord, I will take joy in the God of my salvation. God is an inexhaustible source of joy, because He is the God of salvation, bringing judgment on the nations and deliverance for His people [3:13]. Despite the bleak circumstances that surround him, the prophet’s faith has been strengthened so that he can affirm his jubilant confidence in the God of his salvation. This is all the more remarkable an expression of faith in that it is set against such a gloomy background. It is good and fitting in times of prosperity and abundance to bless the Lord for the blessings He has bestowed, and how much more so when faith has to struggle against outward appearances and lay hold of what is not yet seen. Here is a faith that is surely attached to God Himself, and not merely to the gifts that He gives. But Habakkuk has more to express than the confidence of faith. God, the Lord, is my strength . Habakkuk has no doubts left that the Lord, the covenant God of Israel, rules over the nations and all that they do. Events as they unfold on earth are controlled by Him, and He is therefore able to provide for His people. A variety of words is used in the Old Testament to convey the thought that God is the source of His people’s strength. Many of these are metaphors drawing primarily on the concept of physical strength. Habakkuk here, however, uses for strength a word that conveys not only power or might, but also wealth. There may be physical and economic devastation in the land, but God provided him with resources of whatever sort were required. Habakkuk’s language in verse 19 is drawn from Psalm 18:32-33, where the same word for strength also occurs. High places indicates the triumph that Habakkuk enjoys. He has all the inheritance that God wishes to give him. The people of God enjoy fresh and joyful strength no matter what they have to face. All else can be taken away, but no power in heaven or earth is able to disrupt this gift of God’s strength. 1. Should we expect to understand all that God is doing? In what way ought we to approach God when we do not understand [compare Romans 9:20-24]? Think about the statement: “In the uncertainty which the prophet is experiencing, he clings to what he is sure about concerning God.” This is wonderful instruction on how each believer should approach times of uncertainty. Seek to apply this in your own life. 2. How can we balance waiting and action? How does one become righteous? What evidence can be cited that a person truly has faith? What attitudes should the Christian display rather than arrogance and greed? 3. Why does Habakkuk ask God to remember His mercy? How is God’s mercy made known to us? [Eph. 2:4-7; 1 Tim. 1:13; Titus 3:4-7]. 4. What caused Habakkuk’s faith to triumph in 3:2; 17-19? He had not received complete answers to his questions, yet he proclaims yet I will rejoice in the Lord. What caused this? What can we learn from Habakkuk and apply to our own life situations when we do not understand what God is doing? 5. What do we learn about God’s sovereignty in these verses? Habakkuk, F. F. Bruce, Baker. Habakkuk, John Mackay, Christian Focus. The Message of Habakkuk, David Prior, Inter Varsity Press. Habakkuk, O. Palmer Robertson, Eerdmans.